The 2018 model year XF and XE deliver greater scope for customers to personalise the driving experience thanks to Configurable Dynamics being offered as a standalone feature. The system allows drivers to set up the vehicle to suit their personal preference by choosing Normal or Dynamic settings for the engine, gearbox and steering. The chosen combination is activated by engaging ‘Dynamic’ mode using the chequered flag button on the central console. Adaptive Dynamics, which allows drivers to tailor the suspension settings in addition to those for the engine, gearbox and steering, when combined with Configurable Dynamics, is available as before and provides the ultimate in dynamic personalisation. Extending customer choice is a hallmark of the 2018 model year enhancements for all three vehicles, alongside comfort and convenience enhancements. The adjustable front seats in F-PACE and XF have been boosted with the availability of winged headrests. The new designs feature powered height adjustment with manual side wing supports. Forward Vehicle Guidance is fitted as part of the Surround Camera System and helps drivers to place the vehicle when completing low speed manoeuvres. Working in conjunction with the front parking sensors the system provides a visual representation of the vehicle overlaid with wheel projections showing the alignment of the steering. 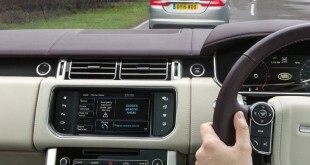 Drivers can see the parking distance reading on the central screen, taking the stress out of tight manoeuvres. On XE and XF models Blind Spot Assist (BSA) enhances Jaguar Land Rover’s existing Blind Spot Monitor system by using the collision warning system in tandem with the Electric Power Steering System. If BSA detects a vehicle in or approaching the blind spot when changing lanes, it will apply a gentle steering force to keep the vehicle in its lane. Jaguar XE, XF and F-PACE owners can now use the touchscreen of their car to pay for fuel at Shell service stations with a new in-car cashless payment system. Once the driver has filled up, an electronic receipt will be displayed on the touchscreen, so customers can leave the forecourt confident of having paid. A receipt will also be sent directly from the pump to the driver’s email address so it can be added to accounting or expenses software. Since its Guinness World Record breaking reveal at the 2015 Frankfurt Motor Show, where F-PACE completed the world’s largest loop the loop, the performance SUV has become Jaguar’s fastest selling vehicle. The 2018 model year enhancements range from the introduction of more powerful, efficient and refined engines to enhanced front seats. Visual changes include a revised colour palette and extended options list giving customers more choice. The focus of the 2018 model year enhancements is on broadening Jaguar Land Rover’s range of advanced Ingenium engines, with a trio of new powerplants welcomed into the F-PACE line-up. With CO2 emissions as low as 126g/km†, the new 163PS four-cylinder 2.0-litre Ingenium diesel provides optimised fuel economy. The arrival of a manual RWD derivative delivers 380Nm of torque and impressive fuel economy of up to 59.2mpg (4.8l/100km)* making it the most efficient engine in the range. These credentials earn it the E-Performance badge, which is reserved for models that combine traditional Jaguar performance with the most affordable ownership costs and optimised efficiency. In addition, the existing 180PS four-cylinder Ingenium diesel is available with an automatic RWD transmission for the first time as part of the 2018 Model Year enhancements, delivering CO2 emissions of 134g/km and combined fuel economy of 55.4mpg (5.1l/100km). Customers looking for improved diesel performance will be able to choose a new high output 240PS Ingenium engine for the first time. The 2.0-litre four-cylinder engine’s twin turbo set-up promises more performance at high engine speeds without compromising responses at low revs. The 25d badged AWD variant is available with Jaguar’s acclaimed eight-speed automatic gearbox – a combination that delivers CO2 emissions of 153g/km, fuel economy of 48.7mpg (5.8l/100km) and 0-62mph (100km/h) in 7.2 seconds. The new 250PS 2.0-litre four-cylinder Ingenium petrol engine is available with an automatic transmission and AWD drivetrain in the UK. It has single twin-scroll turbo and produces 365Nm of torque from only 1,200rpm. The smooth and responsive petrol engine powers F-PACE from 0-62mph (100km/h) in 6.8 seconds and produces CO2 emissions of 170g/km, returning fuel economy of 38.2mpg (7.4l/100km). Interior changes put the emphasis on enhanced choice, comfort and convenience. A new Light Oyster / Ebony interior option gives the premium cabin a purposeful appearance and all Prestige and Portfolio models feature the Sport steering wheel as standard. Customers who choose the automatic transmission also benefit from twin covered cup holders on the centre console, giving the interior a cleaner, less cluttered appearance. Flagship Portfolio derivatives include the optional feature of enhanced front seats with powered headrest height adjustment and manually adjustable winged headrests providing supreme comfort and simplicity. In addition, Jaguar’s Dual View screen technology provides further convenience to driver and passengers. In common with the XF and XE sports saloons, 2018 model year F-PACE features the very latest safety technologies with the addition of Forward Traffic Detection and Forward Vehicle Guidance. The 18MY F-PACE is available to order now from Jaguar UK retailers, priced from £34,730 on-the-road. The 2018 Model Year XF sports saloon introduces three new powerplants, including 200PS and 250PS derivatives of the 2.0-litre four-cylinder Ingenium petrol engine for the first time. The 200PS derivative is available with an automatic RWD powertrain, blending traditional Jaguar performance with excellent efficiency. The new engine powers XF from 0-62mph (100km/h) in 7.5 seconds and returns fuel economy of 41.5mpg (6.8l/100km), with CO2 emissions of 154g/km. The potent 250PS unit is available with an automatic transmission and both RWD and AWD drivetrains. 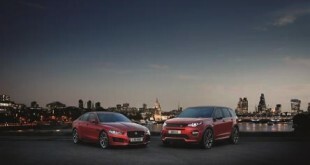 The RWD model matches the efficiency of the 200PS engine yet accelerates from 0-62mph (100km/h) in only 6.6 seconds. All-wheel drive variants match this performance with CO2 emissions of 159g/km. Alongside the existing 163PS and 180PS versions of Jaguar Land Rover’s advanced four-cylinder Ingenium diesel engines, customers will also be able to choose the new 240PS powerplant. The powerful new derivative is available with RWD and AWD drivetrains, combining fuel economy of 53.3mpg (5.3l/100km) and 51.4mpg (5.5l/100km) with CO2 emissions of 139g/km and 144g/km respectively. The twin turbo configuration delivers new levels of diesel performance with the 0-62mph (100km/h) sprint completed in a sporty 6.5 seconds. Adaptive Dynamics with configurable dynamics is available on vehicles fitted with Adaptive Suspension. It also allows drivers to adjust the ride comfort and handling responses to suit the driving conditions or personal preference. In addition, when Touch Pro infotainment is specified customers benefit from Dynamic-i, which adds a stopwatch, g-meter readout and accelerator and braking graphics to the central touchscreen display, allowing the driver and front passenger to monitor every aspect of the vehicle’s performance. With its generous 540-litre luggage area, XF is a practical sports saloon and the addition of the new Gesture Boot Lid function for 2018 model year makes loading and unloading even more convenient. This handy feature is available on vehicles with keyless entry and rear parking aid and allows customers to open and close the boot simply by waving a foot under either side of the rear bumper. Sensors detect the movement and trigger the boot opening, making it possible to load the boot easily when carrying items in both hands. The driver is also able to then close the boot in the same way. Comfort gets a boost in the shape of enhanced driver and front passenger seats with new 20 way Luxury seating available on Portfolio models. This incorporates power headrests with side wing supports. Meanwhile, Dual View technology brings new functionality to the infotainment system. Jaguar XF’s five-star Euro NCAP rating has been augmented with a trio of new features in the form of Blind Spot Assist, Forward Traffic Detection and Forward Vehicle Guidance. The additional safety technologies maintain the sport saloon’s position as one of the safest cars on the road. The 18MY XF is available to order now from Jaguar UK retailers, priced from £32,490 on-the-road. The award-winning Jaguar XE benefits from a host of enhancements. The Ingenium petrol family expands in XE with 200PS RWD automatic and 250PS RWD and AWD automatic derivatives providing customers with more choice than ever before. The 200PS engine produces 320Nm of torque and powers XE from 0-62mph (100km/h) in 7.1 seconds with combined fuel economy of 45.1 (6.3l/100km) and CO2 emissions of 144g/km. The more powerful 250PS RWD model delivers identical fuel economy and tailpipe emissions but sprints from 0-62mph (100km/h) in only 6.3 seconds. The enhanced traction provided by Jaguar’s AWD drivetrain cuts one-1/10sec off the acceleration benchmark (down to 6.2 seconds) with CO2 emissions of 154g/km. Customers looking for even more dynamic performance can take advantage of the upgraded XE S model. Its thrilling 3.0-litre V6 engine is shared with the F-TYPE sport car and sees power raised from 340PS to 380PS for improved performance and refinement. 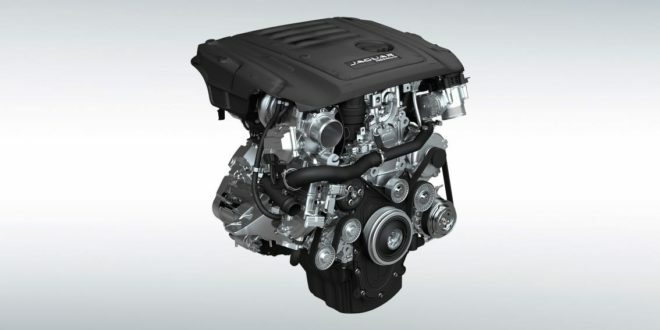 For diesel customers the new twin-turbo Ingenium engine provides V6 performance levels from a four-cylinder engine. The 240PS unit produces an impressive 500Nm of torque from 1,500rpm, which is enough to power the AWD sports saloon from 0-62mph (100km/h) in 6.1 seconds, with CO2 emissions of only 137g/km and combined fuel economy of 54.4mpg (5.2l/100km). Adaptive Dynamics, which also provides personalisation of the suspension settings, is currently available on automatic 180PS and 240PS models but will be available on vehicles powered by the new 200PS and 250PS 2.0-litre Ingenium petrol engines. When Touch Pro infotainment is fitted in conjunction with Adaptive Dynamics, customers benefit from Dynamic-i, which adds a stopwatch, g-meter readout and accelerator and braking graphics to the central touchscreen display. Living with the XE has never been easier thanks to a host of convenience enhancements. A Gesture Boot Lid makes it possible for customers to open the boot with a simple wave of the foot beneath the rear bumper, taking the stress out of loading and unloading luggage. The availability of a 12.3-inch TFT virtual instrument cluster provides greater clarity for drivers when specifying Touch Pro infotainment. With four distinct visual themes to choose from, the large display makes it possible to view full-screen navigation mapping, reducing the stress of driving in unfamiliar surroundings. Meanwhile, Dual View technology brings additional versatility to the 10-inch Touchscreen display on the central console by allowing the driver and front passenger to view different information using the same display. The XE sports saloon was judged to be the safest large family car by Euro NCAP when it was tested in 2016 thanks to its excellent occupant protection and pedestrian protection technology. Jaguar has enhanced its comprehensive suite of safety kit with the addition of Blind Spot Assist, Forward Vehicle Guidance and Forward Traffic Detection technologies. 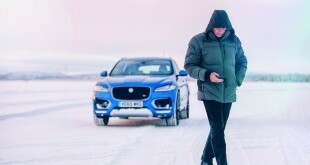 The pedestrian safety bar is raised further on XE by Jaguar’s advanced Autonomous Emergency Braking (AEB), which provides superior functionality with the introduction of Pedestrian Detection. The system operates from 3-37mph (5-60km/h) and uses a forward facing camera to detect hazards, automatically applying the brakes when the risk of a collision is detected. The state-of-the-art safety aid is able to identify pedestrians standing over 1m tall in the path of the vehicle. 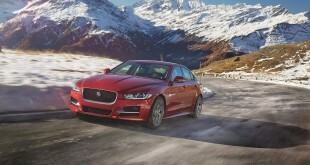 The 18MY XE is available to order now from Jaguar UK retailers, priced from £28,295 on-the-road.